Very clean, light use. Comes with original box, cables, battery/charger, manuals and leather half case. I just received my Xt3 for action photography, and also have this xpro2 and xt20, so one must go. Have a 16-50mm Fujinon for an extra $200. Will consider certain Fujinon lenses as part trade. 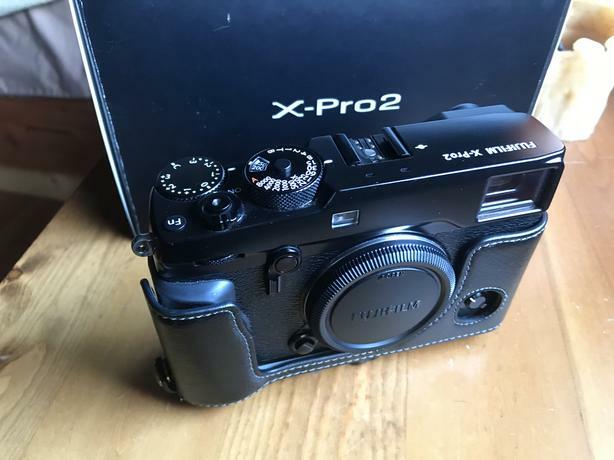 Xpro2 body alone retails for $2000-2200 plus tax.